Taking the time to write reviews for your favorite businesses – and to warn your friends which businesses not to use – contributes to making a better world for us all. It rewards those who provide great service and helps others avoid wasting their time and money. Online Reviews help consumers find trustworthy businesses. It is very likely that if you take the time to review businesses you frequent that they in turn will patronize and review your business. Merchant Circle is one of many local directory sites that provides a review function. Use How to Add Your Business to Merchant Circle to get started there. The form shown below will pop up. That is all there is to it. The more reviews you share the more likely others are to return the favor and review you. Remember to be honest and act with integrity because you will also be judged by others on what you write. NEW: Read some great tips in the guest post How to Write an Effective Review by Merchant Circle Marketing Advisor D. Marcus Keith whom you may know as ADMAXX at Twitter. Thanks for these useful words and keeping us informed. I’ve been reading up on this lately, and it seems that the search engines (Google in particular) are starting to base their local business listings ordering (at least in part) on the review data they pull from sites like Merchant Circle and Yelp. So by adding a review, you’re actually providing a “double bonus” for businesses you like. If you run a small business, it’s probably a good idea to try to solicit reviews, too. I’m happy to provide reviews for the businesses I visit, but it’s easy for most people to overlook. Adding a note on the receipt, or sending out a request to your email list might do wonders for your online reputation (and search engine rankings). How do you write a new review about a business if no one has already added the business to review? When I search for the business I want to write a review on the business isnt listed. If a business advertises in print yellow pages they are usually already listed, but if they don’t they won’t be. I would let the businesses know that you want to write them a good review and they are missing out by not having their business listed – which is completely free to them. You could also share my post about Local Search Directories with them. So many small businesses are passing up free advertising because they don’t know or haven’t bothered to get listed. Gail, the comment spam is taking over again. Thanks for the heads-up Marcus. I deleted the obvious spam. Just so you know, if the person makes an effort to write about anything in the post I usually approve the comment. Most bloggers are so paranoid about letting spam through for fear the will get slapped by the 800# search engine gorilla that they are actually deleting real comments. We must remember that not everyone is experienced at leaving high quality comments. I know this because I often recognize Twitter usernames or URLs. Many real people’s comments don’t have any more depth to them than some spam comments. It would be nice if there were a button people could click to report spam comments. That might become a huge headache though because so many bloggers are so anti-comments (but don’t know they are!). 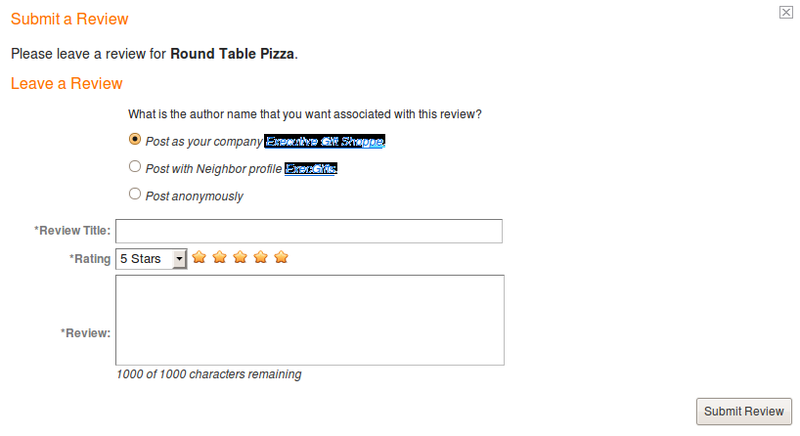 It is very easy to write a review if you understand its importance and content. This will make a perfect review that can e shared to other people. merchant circle has greatly improved my listings on search engines can you recommend me some more sites ? I apologize, in retrospect I shouldn’t have used a review from your site without heads-up, but its such a great commercial keyword-rich piece that HERE is an ideal place for it! And I did make it clear that it was not your creation and only that it sounded like a radio ad, so what better possible use for an ad than here on an independent small business site? Please accept my apology for the indescretion… and if you say so, I think that GrowMap will allow ADMAX to select an alternate review to fill that slot. …better than The Glass Guy in the greater Twin Cities area – he’s fast, professional, and his prices are the best in Minnesota when it comes to ALL THINGS for office and residential glass repair and replacement. As the preimmenent, MerchantCircle “Pro” Advisor, ADMAX will also add that The Glass Guy knows a thing or two about MerchantCircle too… Hell Ken has forgotten more about MC than most MC Advisors will ever know! So if you are a business owner with a broken glass repair job in need, Ken can also fix you up a mean MerchantCircle machine, as well. One of the finest merchants in the MerchantCircle community, The Glass Guy gets our highest recommendation in MN – Ya you betcha! I didn’t read any objections about that review being included into Ken’s comment here. Since he commented I was able to easily locate him and I took the liberty of adding a link to his MC listing. That link and links from comments here are all dofollow. It doesn’t reflect poorly on Ken at all – in fact having people target what you do to raise their own visibility is a sign that you are doing well. I doubt that Ken would want me too; however, I am willing to edit Marcus’ guest post if you prefer. Just let me know. .-= Internet Strategist @GrowMap´s last blog .. How to Add Your Business to Merchant Circle =-. .-= Ken´s last blog ..Bulletin: Learning to Sparkle: Tap, Ballet, & Charm (the … =-. I agree with you 100% As we all know, the review section on peoples MC sites are off limits to advertising Spam. Nothing looks tackier for your company, then when some other merchant comes to your site, and plasters their advertisement in your review section, and calls that a REVIEW. When my customers come to my site looking for a review, they want to read about The Glass Guy not some spammer babbling about his product or some merchant thanking me for connecting with them, and then preceding to use my review section like a red headed stepchild. This is inappropriate and needs to be addressed. It is not accepted in the MerchantCircle Community. Let’s work together to bring an end to this practice I’d like to ad, when people first join MerchantCircle, they watch what other merchants are doing and they mimic them. Some think that’s what you’re supposed to do. For some they know what they are doing, The SEO value of Reviews is good. Google crawls them so they leave reviews for the crawlers and create a back link to boot. If you see a business doing this you now have the ability to report them, and MC management will take care of the issue. I recognize you from one of the examples used in the follow-up guest post written by ADMAXX. Since you dropped by I added a link to your Merchant Circle page within that post. It is featured in the CommentLuv latest blog post field so you can go take a look if you haven’t already. Everyone is still learning so my philosophy is for businesses and Merchant Circle to do what they must to correct unfortunate situations while being tolerant and forgiving of those who mean well but don’t understand yet. They need educating rather than chastising. .-= Internet Strategist @GrowMap´s last blog ..How NOT To Write a MerchantCircle Review =-. There are many ways to find decent business reviews, local directories, specific industry related associations and comments from bloggers can help us have a well rounded overview. Thanks for sharing. You are absolutely correct that there are many ways. That is why I am currently working on processes to allow businesses to monitor and maximize their listings, visibility and reviews. Speaking of reviews have you researched sites that review hosting companies to ensure you’re listed and being reviewed on each one? Back when I was wondering what hosting company to use I used those types of site to research. Then I take it a step further and network with companies that have actually compared various hosting companies by placing different projects on various hosts. Using them is the only way to know how good a hosting company or any other business truly is. There always will be a tension between grass root and professional reviews. Perhaps their existences create a counterweight that strikes a more fair and balanced evaluation. But reviewing a book and restaurant differ greatly and with less gravity than say a surgeon or medication. Anyone who has developed their skills of discernment can learn a lot from reviews written by the general public. It becomes easy to tell when a review was written by a PR agency or the company being reviewed versus what their customers write about them. There is so much disinformation that has been going on so long that we need impartial voices to tell us their truth. You don’t even want to get me started about the lies told regarding health care, medicine, and especially Big Pharma. It is time consumers woke up and started paying attention. I found that by having reviews of your business on local directories/sites, your rankings in the 10 pack and Google maps go up! So it’s a great idea to review other businesses, because like you said, many will review you back. Not exactly the most “real” review but definitely helpful! Good to know that ranking do go up based on having more reviews. It would make sense that Google and others would add that as part of their ranking algorithms. Reviews will become more and more important so those businesses with negative or no reviews are already at a disadvantage. I previously wrote about The Importance of Online Reviews – How the Public Finds Trustworthy Businesses and plan to do so again. Right now in many locations and niches all it takes is one to three reviews to be ranked first. Now is the time for businesses to get serious about Local Search and reviews. Reviewing other businesses will not always result in receiving reviews in return but well written reviews will enhance your reputation for giving back. I wonder if people with bad attitudes realize they show through in what they write? Another way to know which businesses to avoid is by checking their reviews to see what their attitudes are! I had a client that was having trouble in the local listings, and one of the things that seemed to help was to get more reviews in the main local business directories! It’s a great idea to review other businesses because they will in turn rate your business back and improve your local search listings. Maybe not the most “real” reviews, but certainly helpful! I don’t know why Akismet grabbed your comments. Since they’re slightly different I kept them both. What type of trouble do you mean? That they weren’t getting much traffic from them or something else? Writing reviews is an integral part of my online marketing strategy, although I’m using Yelp.com because of its much stronger presence in Northern CA. I want to remind my readers that you suggested the excellent idea of reviewing other businesses related to your own. This is a particularly good idea in the wedding niche because anyone planning a wedding will be seeking so many different, non-competing businesses. Quality reviews can really make their planning easier. I am always recommending that businesses do what they can to get more reviews and Matt really has a lot of excellent positive DJ reviews on Yelp. You may want to expand your reviewing strategy to Google Maps, Yahoo! Local and Merchant Circle. Each of them has a large amount of traffic so they are significant sources of additional business.